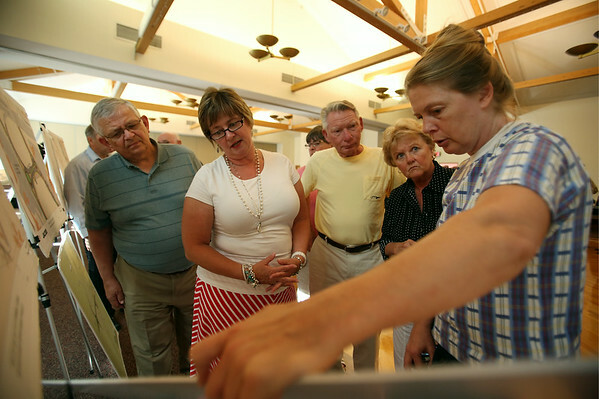 From left, Alex Danish, Lisa LaFlam, George Norton, Pam Clarizia, and Meg Anderson, look over plans for the proposed Brimbal Ave renovation prior to the start of a meeting to discuss the current design of the project at the Beverly Senior Center on Thursday evening. DAVID LE/Staff photo. 7/24/14.